Regardless of whether your competitor is failing or dominating, you need to know why. Top athletes spend hours studying the previous matches of their opponents because they understand the importance of learning from the competition. The same is true of smart entrepreneurs. When you’re starting a business and trying to figure out how to attract your target audience, study your competitors. They will become your best teachers. To make your business better than your competition, you also need to learn the tactics and strategies your opponents use so that you can do it better to win over your customers. You can start this process by doing an analysis of your competitors. Here’s how it’s done. Study their blogs and social media. Begin your competitor analysis by taking a closer look to understand what they’re doing right and which areas need improvement. Don’t be afraid to adapt some of their ideas and make them even better to grow your own business. Make sure you create a list of your competitors balanced with businesses that are ahead of you and those that are falling behind. You can learn a lot from both on what to do and what not to do. Visit each of the competitors' business blogs. Explore to understand their strategy and start gathering data such as what kind of blog posts they create, how often they publish blog posts and which posts generate the most comments and shares. Which blog posts get the most attention? If you’re planning on creating a content strategy that outsmarts your competition, the best strategy is to analyze the blogs of your competitors, one by one, to figure out which posts generate the most buzz. Then you can create similar content for your blog to generate more shares and leads. You can start by using Buzzsumo. 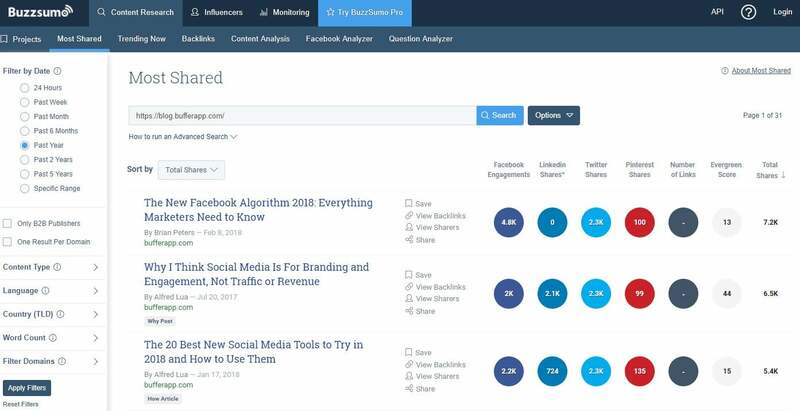 This tool allows you to analyze a website or a blog to figure out which posts and what type of topics generate the most shares on social media. Simply enter the URL of your competitor website into the search box to begin the analysis. Using the Buzzsumo search results, you can take notes to create a unique and more effective content strategy for your blog. Repeat the process for all your competitors, and you’ll have yourself a killer list of blog topics. How do they generate traffic? The next step is to understand how your competition generates traffic to their website. Which channels do they use to attract visitors? Which social networks generate the most traffic to their blogs? 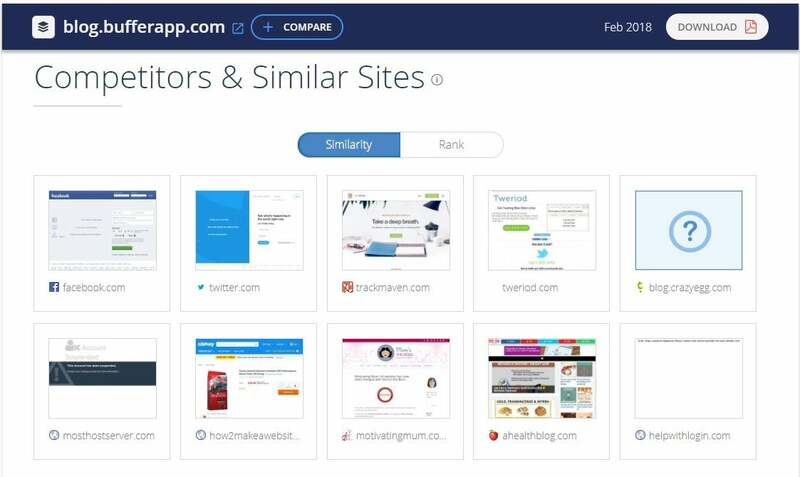 SimilarWeb is a great tool you can use to figure this out. Using this tool, you can learn more about the traffic sources that generate the most traffic to a website. In the search results page, you’ll see a section that shows all the referral traffic channels of your competitor’s website. You can use this data to create content that better targets specific social media and other traffic channels. Analyze audience interests and their competition. Everyone has competition. Even your competitors have their own opponents. You can learn a lot by analyzing the competition of your competitors, too. To do this, simply scroll down on your SimilarWeb search results. You’ll notice a section that shows a list of competitor businesses related to the website. Click on a link to get a detailed analysis of that website and see what they’re doing to compete with others. It’s also important that you understand what kind of topics and websites your target audience is interested in. 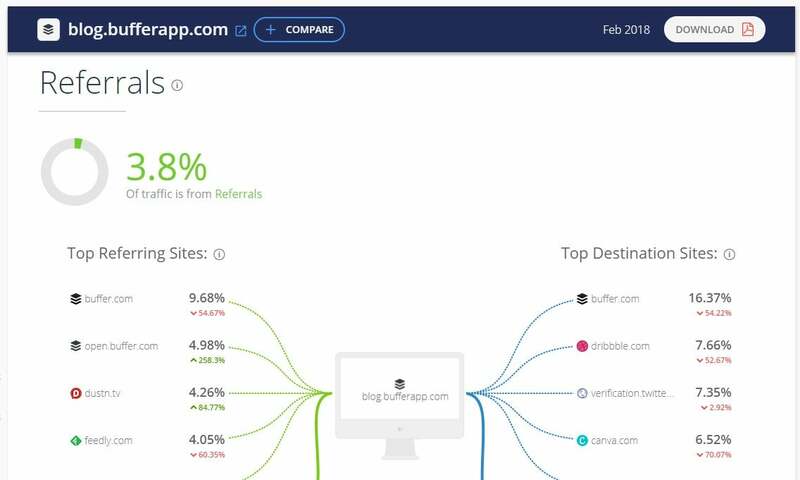 SimilarWeb has a solution to that as well. Switch to the "Audience" tab to see the other categories, websites and topics that interest the audience of your competitors. You can use these topics to create blog posts to attract the audience away from your competitors. 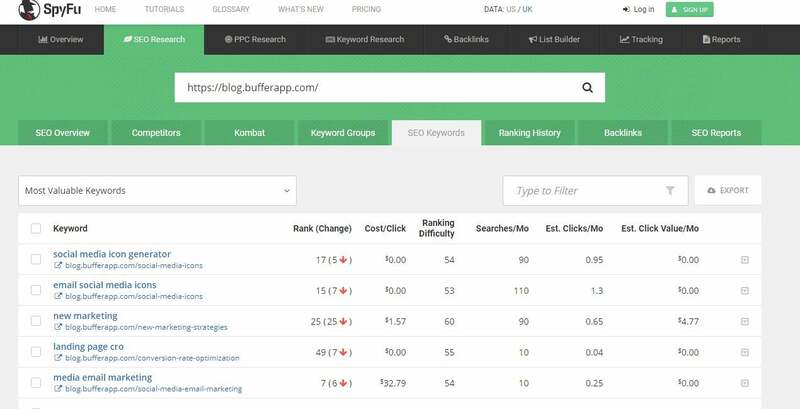 Which keywords should you rank for? When researching your competition, you’ll notice that organic search traffic is the biggest source of traffic for almost every website. It’s achieved by creating great content targeting specific keywords. You can analyze your competitors to figure out which keywords they rank the best. 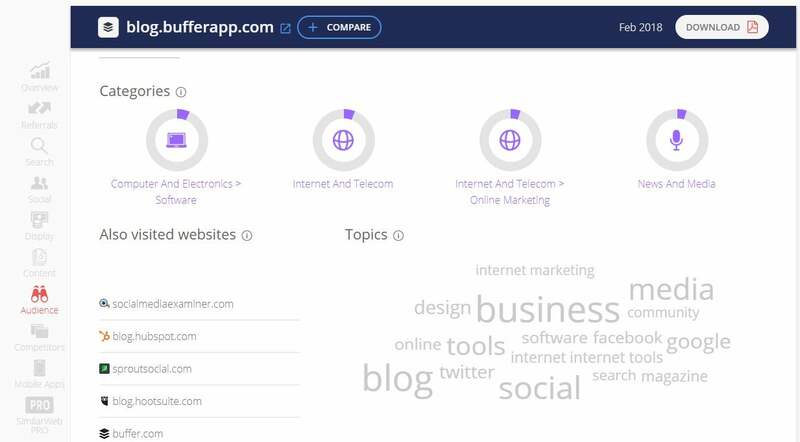 You can use a tool like SpyFu to figure out the top keywords used by your competitors. Now, you can try and outrank your competition for these same keywords by creating more in-depth and informative content on your blog. But, an even better approach is to find related keyword ideas with low competition to target through your blog content. You can do this using KWFinder tool. Simply enter a keyword and the tool will give you a list of related keywords with a score on the possibility of ranking for the keywords. The purpose of a competitor analysis is to understand how your competitors work and the strategies they use. Don’t make the mistake of following their path to make your content and marketing strategy exactly like your competition. Take the lessons and incorporate them into your own marketing strategy that better serves your target audience. Focus on creating quality content to attract your audience and, eventually, your competition will start researching you for tips.